In 2015 our family implanted a new vineyard that is Marco Bolla’s property, located in the county of Diano d’Alba, Valle Talloria. Placed on the top of a ridge, in the Teologà small village. 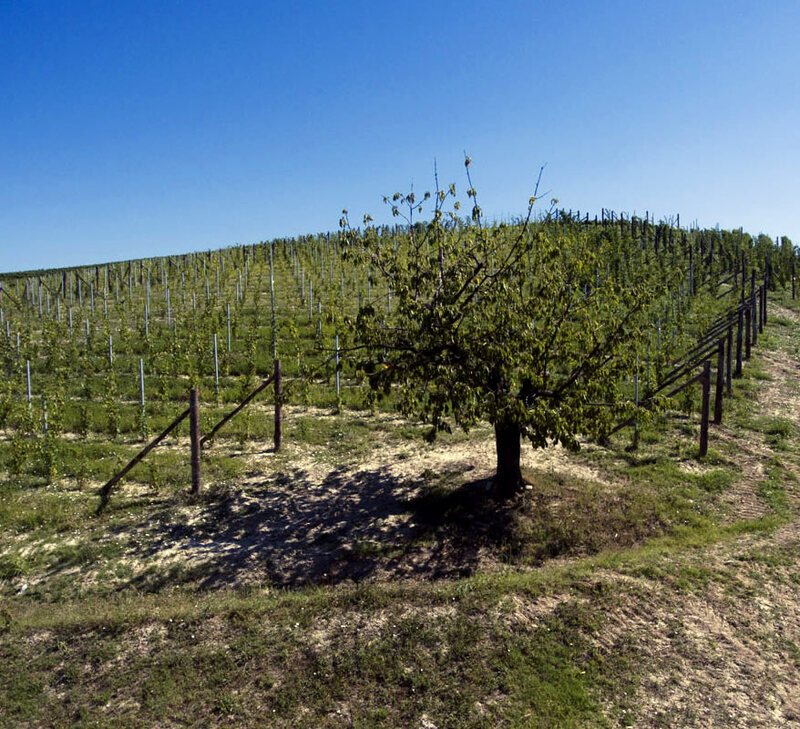 The name Teologa' probably comes from the ancient farmstead of 1800s, where Marco Bolla was born, called Cascina Teologate o Teologà, where it is said that in the past used to live a famous theologian. From the old name of small village was born the family’s nickname of Bolla's Family. Despite the territory of Diano d’Alba is known for the dolcetto wine, the ancient vineyard, which has been renewed today, it was already cultivated by Marco Bolla’s father, Giuseppe Bolla, and even before it had been grown by his grandpa, partially with nebbiolo vine. They used to believe that the Tortonian composition gave the nebbiolo wine some intense colors, delicate and fresh fragrances, and a good structure. The grapes comes also from vineyards located in the county of Diano d’Alba and Castellinaldo, thanks to the close and historic collaboration with some farmers’ families who give us their grapes, grown with much passion and dedication. Colour: ruby red colour in its youth; it assumes garnet red nuances that became orange soft reflexes by aging. Nose: Full and pleasant, fragrant with fruity reminiscent of raspberries and jam. With time acquires interestingspices notes. Taste: Round, elegant tannins, balance of red fruit, plum, blackberries , tobacco and spices notes. Harmonic with long and persistent finish. Pairing food: Antipasti, pasta, soups, red meats, game and cheese. Also perfect with a cheese fondue, especially with white truffle. Table service: in order to appreciate this wine, it should be served in large glasses at a temperature of about 18 °-20° C.